Taiga ecosystems are cold, dry and very important to the planet Earth. 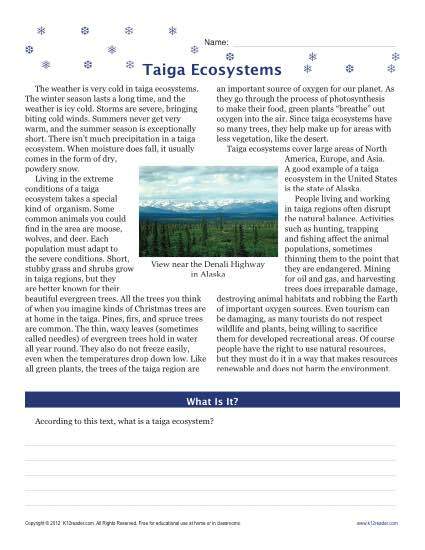 Your student will learn about the taiga in this reading comprehension worksheet. There’s also a short exercise in line with 6th grade Craft and Structure skills for Common Core Standards. The worksheet may also used for other grades as appropriate.